Could Green Tea Help People With Down Syndrome? You are here: Home / Resources / Could Green Tea Improve Memory And Speech For People With Down Syndrome? Could Green Tea Help People With Down Syndrome Grow And Develop? I’m not a fan of organizations that try to “cure” Down Syndrome (as I’ve mentioned before Noah’s life is a huge blessing to us) but I am however a fan of studies that could possibly help children like Noah reach their full potential. I’m also not a fan of putting children on a lot of unnecessary medications (Noah takes no medications or supplements) especially ones that we aren’t sure what they actually do or what the side effects are. What is an encouraging (and exciting) about this study is we aren’t talking about a medication, rather something natural, green tea. We aren’t talking about “healing” children with Down syndrome, rather helping increase their cognitive abilities in a natural way. That to me is something at least worthy of exploring more. I’m not ready to give Noah gallons of green tea (although green tea has lots of health benefits) and as the article says these findings will require further validation, but this is still an exciting development, and one I’ll be paying attention to. You can read the full text of the research study here, and the article I reference here. What are your thoughts on studies like this? Leave a comment below and let us know. Hi Rick, Vitamins and supplements like Omega 3 have helped our 12 year old, as for speech I had music, singing and rhythm from the day Ram came home at 3 weeks! He had speech therapy through the community services in BC till the age of three and did it off and on. No official speech therapy through the school. Also, speech came more when Ram sttod up at 3 and a half and started walking at 4! I’m so relieved to read that your lil guy with DS didn’t walk until age 4! Our lil guy is 2 and just started hinney scooting. He shows no interest in knee standing, standing or walking. Our PT told us “if Sean isn’t moving, he’s not speaking.” That is so true. Since hinney scooting he’s said his first word “baba” & signed at the same time, with intention, “milk.” Thank you for your comment. I looked up everything that is thought to be good for the brain and put it into our son’s diet. I also don’t have certain things in his diet or restrict them. I realized we had already been doing that for our daughter long before our son arrived. We have had no problem getting our children to eat health because they have never eaten any other way. It is all they know. We also eat healthy so they learn by example. As far as green tea goes, it is my understanding that it is good for a lot of things. We love it unsweetened of course. And yes, that is the way the kids have it because that is the only way they have ever had it. When I learned that our son had a 50% chance of getting Alzheimer’s I realized how serious I needed to take his diet. When we gave him avocado at first he didn’t want it but now he eats it with out a bit of fuss. It was the same with sweet potato. Our speech therapist told us to sweeten it and we said “no”. We wanted him to get use to the taste and texture. Once he did we haven’t had a problem since. I know this is not exactly what your article is about. I am just hearing so many parents talk about how hard it is to get children to eat health or how they have to disguise healthy food. I find that to be sad. If you as a parent make the choice to eat healthy yourself and start you children out right so many health issues can be avoided. So if you have a child with Down Syndrome which means possible thyroid issues, cognitive delays, low muscle tone, 50% chance of Alzheimer’s, slow metabolism & the list goes on. Why would you not do everything possible to give them their best chance? That means being very serious about their diet. Our therapist are all convinced the our son is doing so well in big part to what goes in his body & also what doesn’t. Physical activity is important too. However, the old saying “you can’t out run a bad diet” is true. The fuel is important. My husband is a professional acrobat. We know from experience that diet is really the more important of the two. I do wish people took it more seriously. Okay I done. I think we all need supplements. Our food sources and skills are depleted of so many important vitamins and minerals that help all our bodies run optimally. Our children with DS are no different. We know they are at higher risk even for some cancers and a slew if auto immune issues. I want my precious child to have a long, healthy, beautiful life. The medical community knows very little admitl about vitamins and natural things that can help us…….. Why? Because there is no money in it, in studying it or promoting it. Medication is where the money is so that’s why they learn how to prescribe you things. I agree I don’t want any part in medications but vitamin and herbal therapies have always been around long before medicine and have proved nut only their used but there is a tin of info on their various safety record. We are so fortunate to have many doctors that have learned about these natural ways to optimal health to help us navigate and monitor the use of various natural therepies. Down Syndrome or not the benefits can not be ignored. My nephew had spina bifida and downs. He was to never walk..He did..He was not to live past 2, then 14…He did. He lived to be 37. Praise God. Shawnie loved Music of any sort. It made him happy . He loved water, hot or cold with Lemon. This is from the olden days. We also used silver water. We ourselves still use. In our forefathers time silver was used as an antibiotic. Other than what Shawny was born with, he was never sick. Praise God. He loved school even though he was never mainstreamed. Having Faith and Love are the best healers there are. I just wanted to share what we used. His Mommy is gone now and his Daddy is in the nursing Home. Shawny loved music so much that he always had his radio with him. He sang before he talked. God Bless your family and both boys. Worried about the effect of caffeine on a child. I’ve been told that it will cause a stunt in growth? Thanks for your posts Daddy!!! Our Dan does not do well with caffeine. I swear little horns pop out of his head and we have a heck of a time with him. He almost gets manic on caffeine. The same with sugar though to a much lesser degree. If the results from this study are trustworthy, maybe a qualitative study could be developed regarding the perceptions of family members and other supportive individuals on the positive and/or negative changes they observe in the functioning of people with Down syndrome who receive the green tea extract vs. some other treatment. I liked the study ,it sounds good, why don’t we start all of us and give us 12 months period and se the effect of the trial. I totally agreed with qualitative research where family can comments in the actual improvement not a theatrical only. my son is now 2years and 3 months not yet started walking,I saw some news about omega 3 which can improve the memory and cognitive as well. I would like to ask you if you face the same difficulty ,I most concern with me now with my son I am not able to change the food to hard one ,like I am not able to give him bread ,neither sold food like meat and chicken ,if I do so he will wither through it by his hands or take it out from him mouth. My sister sent me this Green Tea article, and I had the same take you did essentially. I am open to research that helps our children get an edge. I am especially open to research published in peer reviewed journals, but as with all health and nutrition articles we can only wait for the meta-studies 10 years from now. You really captured the issue that I was struggling to find words for: I feel really offended when people send me “cures” for Downs. It’s complicated territory, thank you for your insights. While not directly linked to Downs, there’s a growing body of research that’s starting to show that there is, in fact, some long term benefit to green tea on cognitive function. There’s an interesting article here – http://www.j-alz.com/content/green-tea-extract-and-exercise-hinder-progress-alzheimers-disease-mice which discusses this in more detail. I for one have long been a fan of green tea, and while purely subjective I always feel a clarity when drinking it. Fingers crossed that more funding will go to green tea research. This is my first time on this site and a lot of comments I’ve read has really made me sad. My Liyah Bug was diagnosed with downs and a lot of expectations I have for her I find from reading you all posts are high. I’m not lowering them because I know in the name of Jesus, she will meet them. She is fifteen months old. Sheri – All Downs kids are different! Don’t expect your child to be anything like our kids. They vary in capability from nearly average IQ to profoundly retarded, their motor range and skills and health outlooks are equally as broad! My Boo Bear is 52 years old so I have seen these kids for half a century and I know whereof I speak. Keep the faith, your sweetie will be unique and not like anyone else’s child. I really enjoy reading your posts about precious Noah. I have a 12 month old daughter with DS. We recently (Sept 2016) took her to a DS clinic held by a major southeastern university’s school of medicine. During our consult with the director of pediatric genetics for the medical school, we were advised to begin our daughter on a green tea regime. 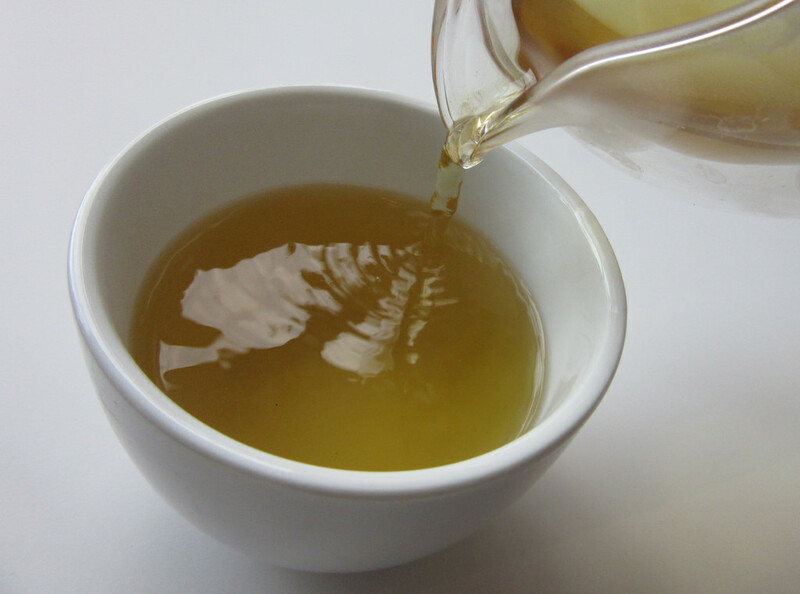 The doctor said that the most recent studies are showing a promising connection between EGCG from green tea and improved cognitive function. They are advising all of their DS patients to start adding green tea to their diet. I thought this sounded interesting and hopeful, coming from a reputable medical school not just a random alternative medicine website. I would be careful with green tea. People who have mthfr which most kids with down syndrome have can already have elevated homocysteine levels and gut issues which caffeine can make worse. The decaf is worse in the process they use to decaf. Love to adorable Noah! I am a dad of a 27 years old son Tomas with DS, I am also a scientist in the field of molecular biology and nutrition. Since we are testing different natural supplements for their real activity in my laboratory, we tested green tea supplements (GT) from different manufacturers. In addition to the huge variability in the activity and bioavailability of GT among manufactures, there are big differences in the GT products from the same manufacturer. To make a long story short, we can see a visible improvement in Tomas’s cognitive function – especially his sense of humor! – when we used “active = laboratory validated” green tea supplements. As a scientist, I know that one example does not pass scientific criteria but as parents I and my wife and our other son are pleased with this improvement. Based on my laboratory experience, we started producing laboratory tested and validated green tea extracts for the cognitive improvement. However, the real clinical trials need to confirm the positive effect of GT. As somebody mentioned meta-analysis – sure it is important, but the major problem is in the “clinical trials” with inactive/in effective = not laboratory tested supplements.